Another week, another Rick and Morty recap! We meet our heroes/anti-heroes in the Smith family garage where Morty is delighted when he and Rick are called into action by a mysterious beacon, the ownership of which is not revealed until after the opening credits. Introducing the Vindicators, a team of six universal heroes (that are totally not Avengers and/or Guardians of the Galaxy rip-offs) on a mission to kill a monster known as Worldender, whose name and misdeeds should be fairly self-explanatory. The team consists of a Chris Pratt-like lady-killer, Maximus Renegade Starsoldier; the cosmic-powered Supernova; the brooding, ghost-train wielding Alan Rails; the half-reptile, half-cyborg Crocubot and the aptly-named Million Ants. Yes his super power is that he is a million ants. Oh and of course Noob-Noob, the Vindicators janitor and the one member of the team that Rick doesn’t completely despise. The Vindicators ask for Rick and Morty’s help in stopping Worldender once and for all, while accidentally letting slip that they’ve assembled without the duo before, making Morty feel cheated. Later we find Morty still feeling upset over his being excluded on the Vindicators last mission, made worse by the discovery that the heroes lost three of their comrades last time around. Morty realises that their exclusion was because of “personality conflicts” and quickly accuses Rick of being the cause. Because duh. While Rick is ecstatic that the heroes he despises also hate him, Morty is less dismissive and asks Rick to not sabotage their relationship with the Vindicators any further. 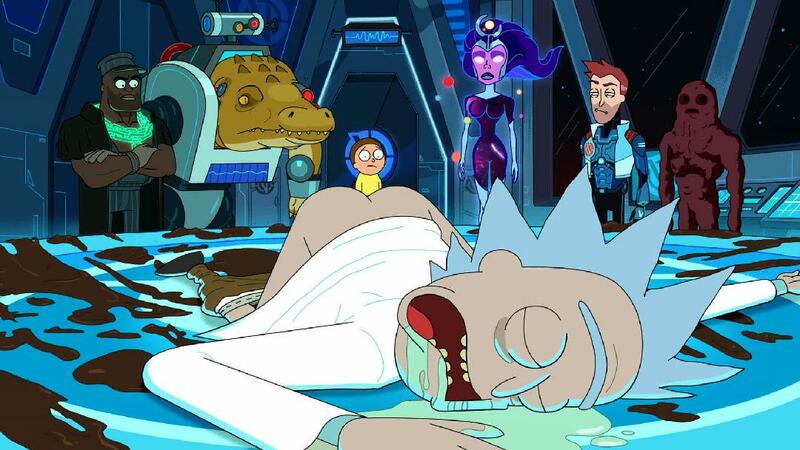 Rick blows off Morty’s request in true Rick Sanchez fashion, causing Morty to snap and admit that the Vindicators are his heroes, seemingly dismissing Rick. Ouch. Nothing hurts more as a grandparent than to hear your grandchild holds a group of flamboyant heroes in higher regard than you…unless you’re Rick Sanchez in which cause you don’t give two hoots. After reaching Worldender’s location the Vindicators gather in the briefing room to form a plan to destroy the monster, only to discover that Rick’s drunken shenanigans (clearly his way of recovering from his row with Morty) have left the conference room a nice shade of *ahem* diarrhoea brown. After casually dismissing Noob-Noob’s excitement for the mission, Supernova tasks the poor alien with cleaning up Rick’s “creation”, and Maximus promotes Morty to full-Vindicator status, complete with his own Vindicators vest. The Vindicators + Rick and Morty fight their way through the numerous traps and obstacles before reaching Worldender’s chamber. But instead of a fearsome, Lovecraftian monster the Vindicators are met with a dead, fearsome Lovecraftian monster. That’s right, the most fearsome monster in the universe and his cronies has been slaughtered and his body lynched for the whole universe to see. Well, not exactly. It turns out that while Rick was drunk, he went on a rage and slaughtered Worldender, his cronies and rigged booby-traps around the whole cave system. These traps will kill every member of the Vindicators (including Rick and Morty) unless they complete his a series of deadly trials and challenges. Much to the Vindicators’ chagrin, Rick admits that this sort of thing happens regularly especially when he has a blackout. I mean, we all have that one friend who sets up booby traps and deadly challenges after they’ve had a few, don’t we? Their first challenge requires the Vindicators matching cliche comic book origins with posters of their faces within three minutes or face certain death awaiting should they fail. It doesn’t take long for the pressure – and the anti-Rick and Morty animosity – to build up, especially for Maximus. In a fit of anxiety induced rage, the “hero” reveals his true colours and slanders Morty as the “learning disabled kid [the Vindicators] do photo ops with”. ]Cue instant karma: Vance tries to escape the traps and is mercilessly cut down by machine-gun fire (and plasma fire, missiles, some chainsaw blades and a flamethrower). Morty quickly completes the challenge while the hapless adults argue. His explanation makes a very tongue-in-cheek jab at the superhero genre, explaining that any cliche could have applied to any Vindicator. In truth, there is no real difference between anyone on the Team, ergo none of them are special in any way. Ouch. The next challenge involves the Vindicators being forced to select a location on a large holographic map of the universe. Drunk Rick hints that the location in question is something that pertains to a place they would never visit, prompting Crocubot to believe Drunk Rick is referring to Dorian 5, a planet that evokes feelings of dread from the Vindicators. Predictably, Crocubot is wrong, causing the table beneath him to snap shut and crush him to death. The Vindicators’ heroic reputation is called into question once again as it is revealed by Supernova that Dorian 5 was a planet destroyed by the Vindicators themselves in a botched mission. While the team’s morale and teamwork goes further down the drain, Morty deduces that the location in the puzzle was actually Israel, the country’s controversial geopolitical situation being a choice topic of Drunk Rick’s. The third challenge is far easier: the remaining Vindicators must score five three-pointer basketball shots in five minutes before a neutrino bomb goes off. Unfortunately, Alan Rails chooses now of all times (sigh) to talk about an affair between Supernova (his ex-wife) and Million Ants. In an emotion-infused rage, Supernova traps both Million Ants and Alan in a cosmic energy bubble, with Million Ants killing the latter. And the final challenge, in which Drunk Rick tells the Vindicators that they have something (or someone) of his that they must place on a large dais; the only part of the Vindicators with any worth to Rick. Think it’s Morty? Well, you’re wrong. But who could be more important to Rick than his own grandson? 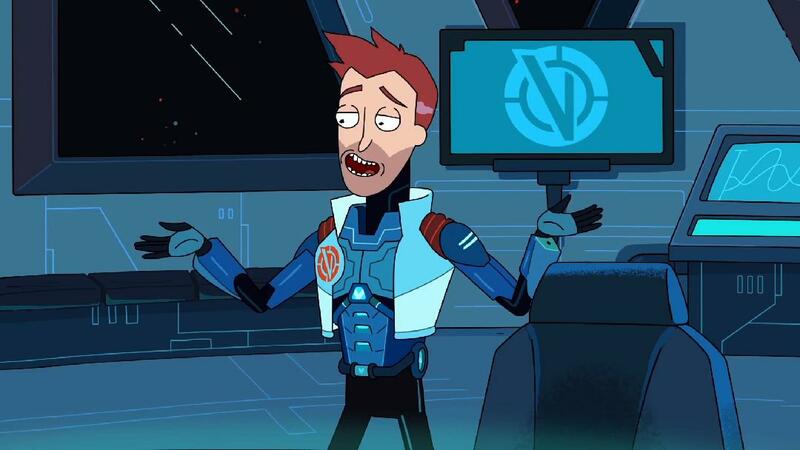 The answer is Noob-Noob; the only member of the Vindicators he likes and the only one who laughed at his lame puns. But things only get worse from there. Not a second after Morty tells Rick off for placing no value on the former, Supernova goes mad with power, kills Million Ants and advances on Rick and Morty, seeing that their deaths will ‘protect the universe’ (Which the Vindicators clearly couldn’t do). But moments before their deaths, the roof above the cavern opens up to reveal a massive rave party on the planet’s surface with Beth, Summer and rap singer Logic in attendance. Worldender’s death? Killing the Vindicators? All of this is revealed to have been Drunk Rick’s endgame, to get even with people who wronged him and to have a massive celebration for accomplishing what the Vindicators couldn’t. Cue a speech from Morty about “everyone in the universe being a hero” and a catchy rap from Logic, and the episode is brought to an end. REVIEW: This episode was a little slower to start than others in the series, but it definitely hit the ground running when it found its footing. The episode gets points for it’s Saw parody and comedy horror elements, as well as its clever, blink-and-you’ll-miss-it jabs at the superhero genre, which as a comic book fan really resounded with me. But the episode sadly loses points for it’s sudden introduction of the Vindicators, predictability and out of the blue plot/character developments, particularly the sudden relationship reveals towards the story’s climax. But in true Rick and Morty fashion, the show continues to encourage us to question everything, even the heroes and people we hold close to our hearts and that sometimes, it’s best we don’t meet our heroes. I rate this episode 3.5/5 Noob-Noobs.